The Sutter Stockton garage is located nearby. We offer one of the biggest terraces in town...and a huge private dining area...Belden place is unique and famous for being one of the most fun and relaxing place in San Francisco as well that for the excellent quality of food. Cafe Bastille has terrace seating with heating lamps and a canopy. The seating is bistro style and offers about 50 seats outdoors and 80 seats indoors. 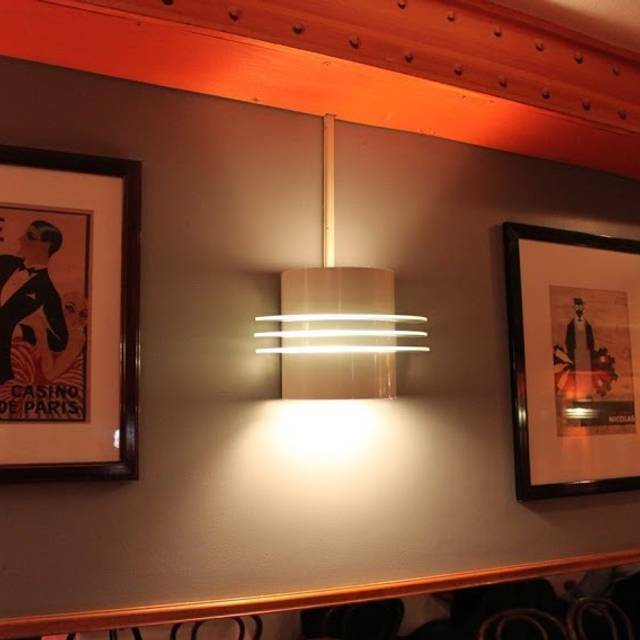 The ambiance is just as you would find in any Parisian brasserie with friendly and fun service. 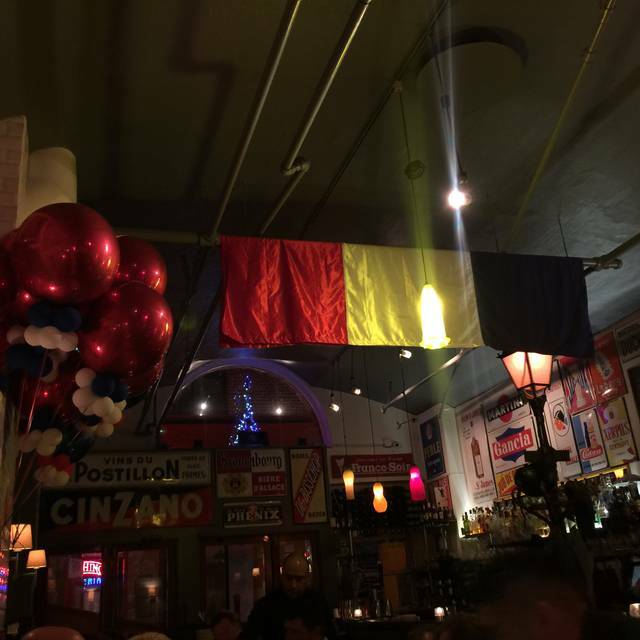 Cafe Bastille turned 29 years in 2018. We pride ourselves with consistency and true appreciation for our regular customers and new friends. Private dining area downstairs is great for special events such as birthday parties, bridal or baby showers, business lunches and dinners, rehearsal dinners, etc..
Make sure to check out our Facebook page for the most recent and upcoming special events or closure days. The Cafe Bastille experience is, for me, always excellent, consistently good, nay excellent. Attention to detail in service and food, the staff make you feel at home, and the food A+ excellent. 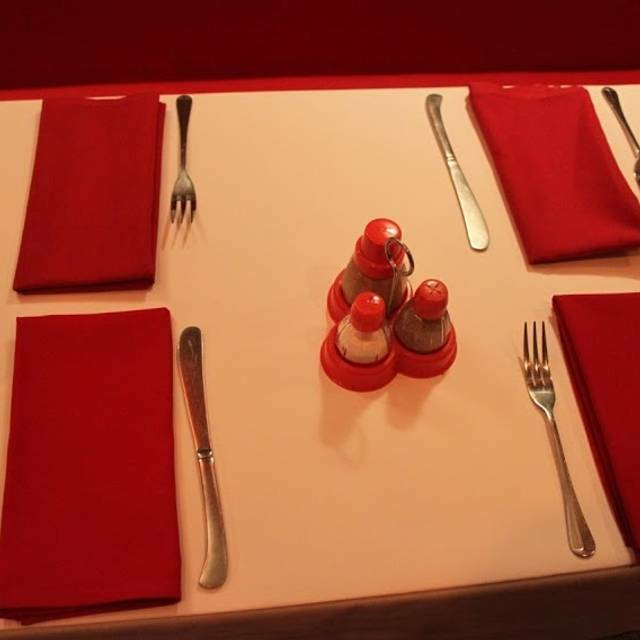 We have dined at Cafe Bastille several times over the years. It is good, traditional French food. Food was delicious, staff very friendly and knowledgeable in picking the best wine ! Excellent service and food every day. 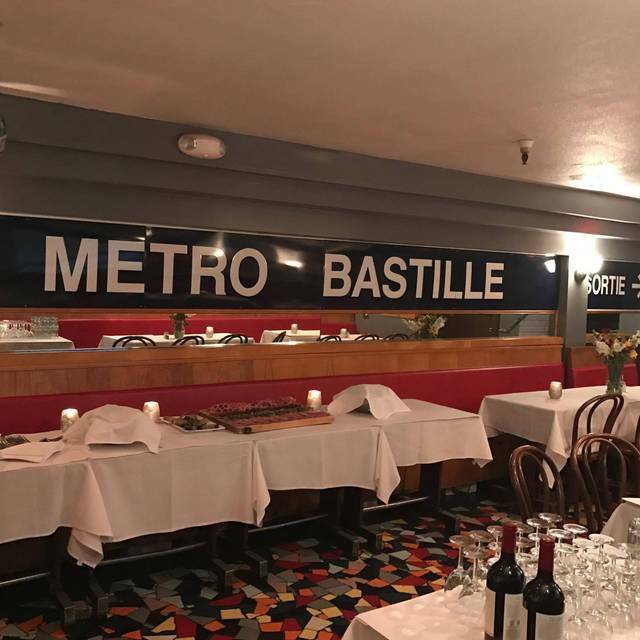 Great little French bistro tucked into downtown. Charming atmosphere and delicious food. Not a tourist trap at all. Quite authentic. Even the wait staff had french accents. The combo charcuterie plate was PERFECT! Get the chicken liver pate and the triple creme ;-) Dinner entree portions were substantial and worth the prices. I’ve been coming here since it opened. I remember wishing the owners success - some 30 years ago. My husband and I were in SF for our 20th anniversary, and this was my pick for dinner. Not the same as when the staff recognized me, but still a pleasure. Excellent meal and great service. Absolutely phenomenal experience all around. Food was fantastic and the service was world-class. Have not been to this place for a few years. The food was good. The mussels are always good. My friend had the tripe sausage--something that was new for both of us. Not too bad, but I stayed with the Filet Mignon. The Ile flottant and the Crepes Suzette were both wonderful Very attentive staff, too. Keep the complimentary bread going. Thanks! A night in Paris, only with better service! Food is great; I would recommend the bone marrow appetizer, and the roasted salmon. Ambiance is warm and the alley location gives it such a bohemian flare. Really cute place! What a great place! Everything was really perfect for our Valentine's Day date. Definitely going back! Lovely food and presentation. Our waiter was super nice and French! We had a lovely meal. The raspberry cake was wonderful ! We both had the prix fixe dinner, and it was delicious and very satisfying. 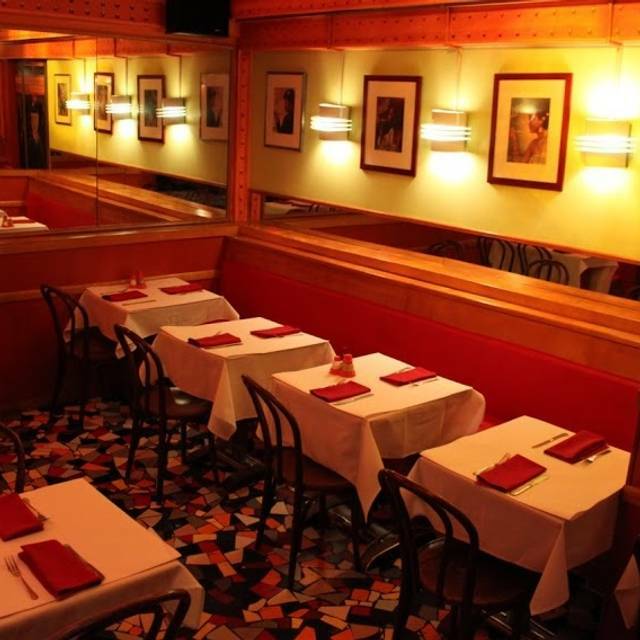 Took a friend just back from Paris, and we all loved this Belden french bistro before a concert. The Parisian waiter was fun and helpful, great wine pairing. Price fixe choices included special lobster bisque, perfect ahi tuna, rasberry dessert. Their mussels again were spot on, as was the pork entree and salads. We sat indoors, cozy on a cold night, but they have heated outdoor seating to check out the Belden scene. We had a lovely Sunday brunch. Good crepe! Service was attentive and friendly. 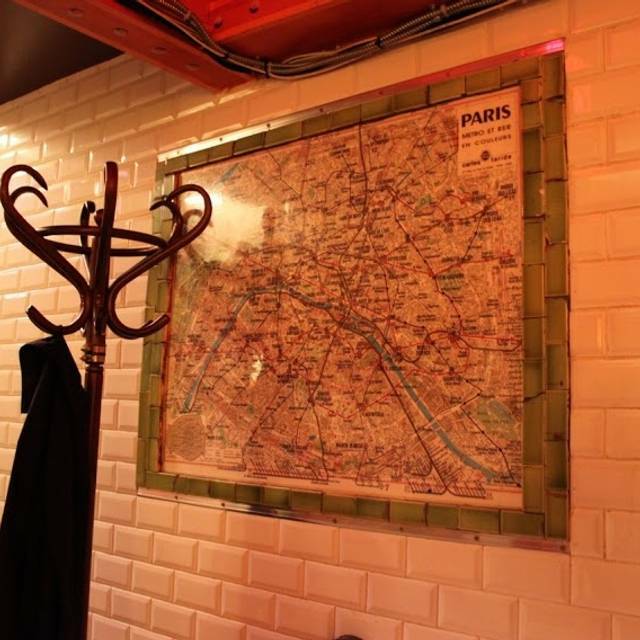 Cafe Bastille is a great little French cafe and bistro. We enjoyed our visit and the food and will be back. This a hidden gem in the heart of the Financial District of San Francisco. If you close your eyes, you just might be on a back alley in France. If you're looking to impress your love, surprise them with a date here! Great selection of wines and the food is supurb! When you're done, go to Richhouse on Kearny for a nice after dinner cocktail. Our waiter was fantastic. His wine recommendation paired perfectly. 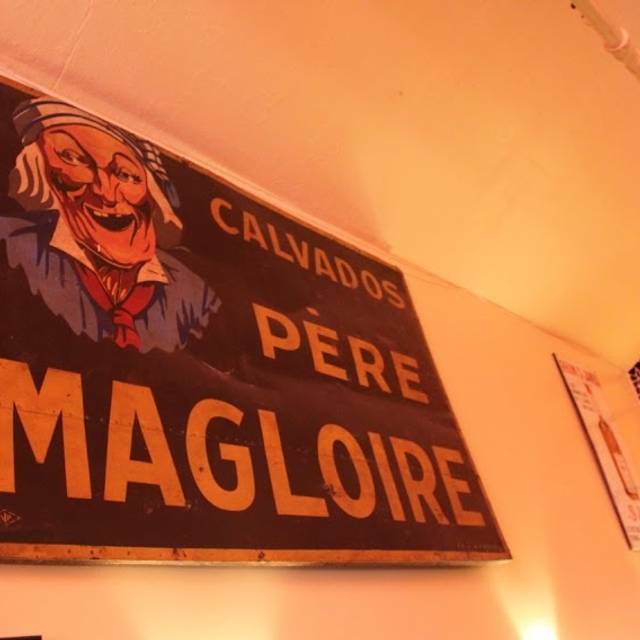 The atmosphere was lovely and felt authentically French. Would return here for dinner most definitely. 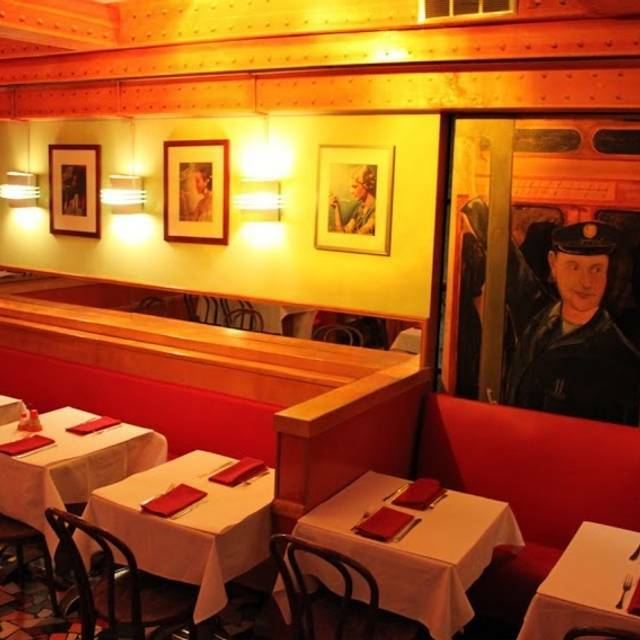 Cafe Bastille has been a favorite restaurant for many years and remains so. The staff are friendly, knowledgeable about the lovely food and wines, and flexible in their service, never rushing us. We often order favorite dishes, but always enjoy being told day's specials, just in case one of them intrigues us. Filet of sole special was outstanding as was the house special salad with grilled shrimp. Service was a bit slow but it was worth the wait! The waitress was fun & pleasant. When i inquired about the soup (ginger carrot) how strong the ginger taste was, she brought me a sampler & i was sold! Our children had fun & can’t wait to go back! I went here the week before, and liked it so much I returned with a different friend! 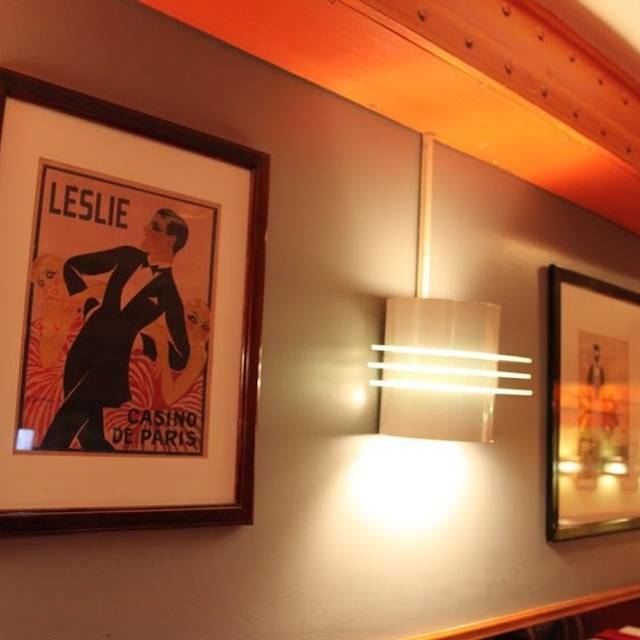 The service is impeccable, the food is delicious, and the atmosphere is delightful. I might choose to sit outdoors on a less blustery evening. I have frequented Cafe Bastille for at least 25 years...maybe more, and have never been disappointed. The service is wonderful, the food --very tasty-- and the proximity to the Financial District, Union Square and the Embarcadero, is perfect. This is an excellent place for a business lunch or dinner with friends. You will honestly feel that you've stepped off the plane in Paris. And the value is great! Another return visit to Cafe Bastille. Food is good, service other than primary waiter, excellent. Bread to die for!. Feel of a true Paris bistro. Value is good and portions are generous. Our primary server does not speak; he shouts. You can hear him anywhere and everywhere in the restaurant. When he was working with the next table, we had to cease conversation. I asked him to lower his voice and his reply was that he speaks loud. It is a very good restaurant, but he managed to take away from the experience. I will come back again, but as petty as it seems, if I saw he was serving, I will politely cancel, and go to another spot on Belden Alley. Yes, I know it seems small, but he so takes away from the ambiance that it makes sense to me to not be there when he is. The other primary servers do no share this problem and are excellent. Great food and great service. Will be back again soon. We each ordered salads, both were mediocre. Even the bread in the bread basket was just ok when there is fantastic bread in the Bay Area. Have eaten there before and it was much better. This was our first time at Cafe Bastille. We ordered off the price fixed menu - onion soup, butternut soup, coq au vin, mussels/fries, chocolate and raspberry mouse. The food was rich, flavorful and authentic. Better than we expected for this casual alley-way restaurant. There was a small but good, affordable selection of wines by the glass (more by the bottle). The wait staff was wonderful, letting us know what to expect, making suggestions when requested and letting us sample wine when we we unsure which ones to drink with dinner. We will definitely be back. Our server was extraordinarily friendly & helpful. Very upbeat & knew his menu! Our friend who ordered the floating island dessert liked it so much he ordered a second one! I thought the food was ok. I’ve had better French onion soup & beef Bourguignon was average—seasoning was very tasty but beef was on dry side. All in all, because of our waiter, we had a good time! Had a lovely belated birthday dinner here with my mom on a rainy fall night. Great service, tasty food; lots of fun! I used an voucher of Living Social for a pix fixe menu. I wanted the BOURGUIGNON but they told me it will not ready half hour at least so they offered me the CASSOULET instead which is not included in the prix fixie menu. It was delicious. The service was great.